On January 21, 1998, Capcom released Resident Evil 2, the sequel to the renowned survival horror game, Resident Evil. Twenty-one years later, Capcom has re-envisioned Resident Evil 2 for modern hardware by completely re-working the lighting, character models and sound design. 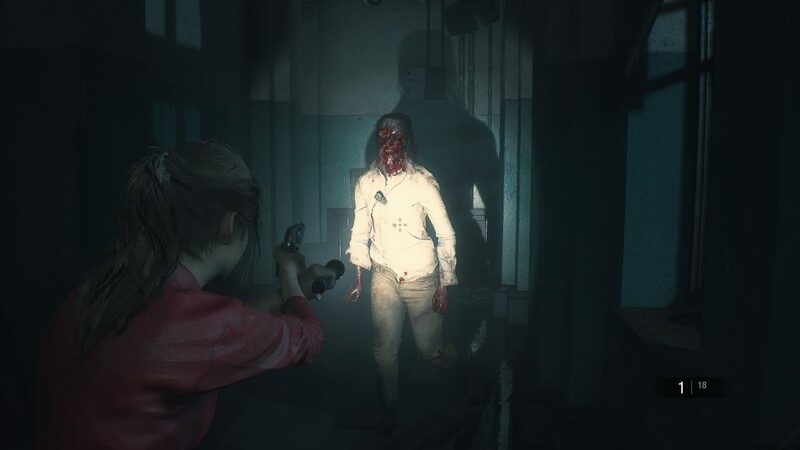 The question then becomes whether all this work has paid off and feels worthy as a remake of one of the greatest survival horror games of a generation. 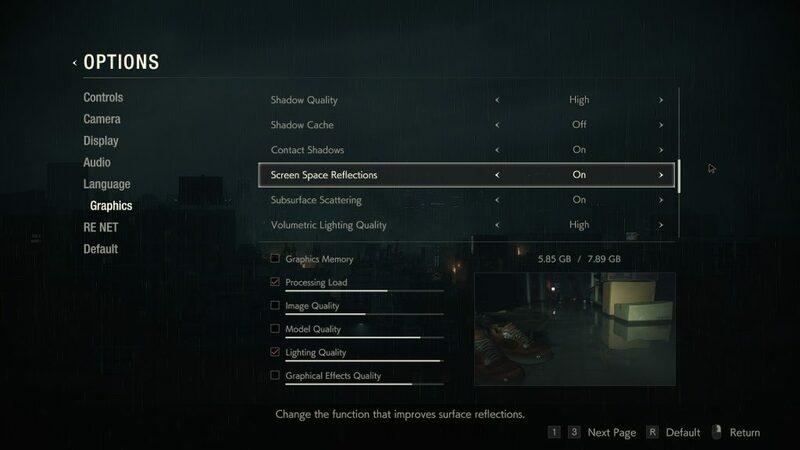 The graphical settings for Resident Evil 2 are affably robust. Capcom has included a great feature that other developers should begin implementing, by showing bars and a picture of what each graphical setting accomplishes and how graphically intensive it is. Capcom has also included a VRAM counter for various graphical settings that promptly updates as players fiddle with their desired fidelity, without having to restart the game for the updates to take effect. 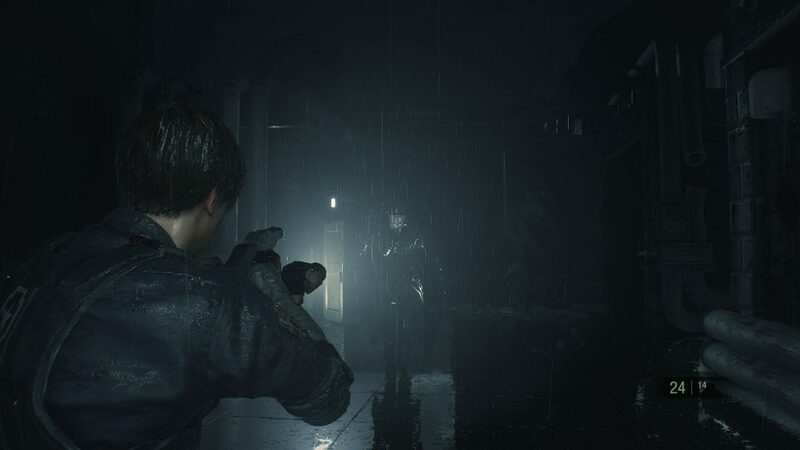 Resident Evil 2 targets 60 frames per second on all platforms, which is both a blessing and a curse. 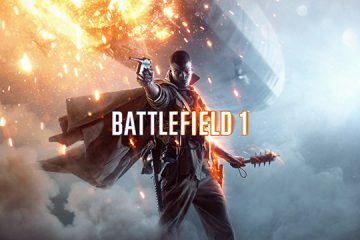 Players who have low-end PC hardware or players on base consoles (not PS4 Pro or Xbox One X) will struggle with a frame-rate well below the game’s 60 frames per second target. Screen space reflections in Resident Evil 2 suffer from noise artifacts when viewed at oblique angles; this is quite noticeable due to the slower pace of the game, though it’s only a minor annoyance. The character models of Resident Evil 2 are superb. Character hair is realistically rendered, behaving and shimmering in a convincing manner. The ambient lighting recreates the haunting atmosphere of the original in a dreadfully enthralling agency. The lighting, when playing on a console, does not appear as moody as the PC version due to the console editions appearing considerably brighter overall. 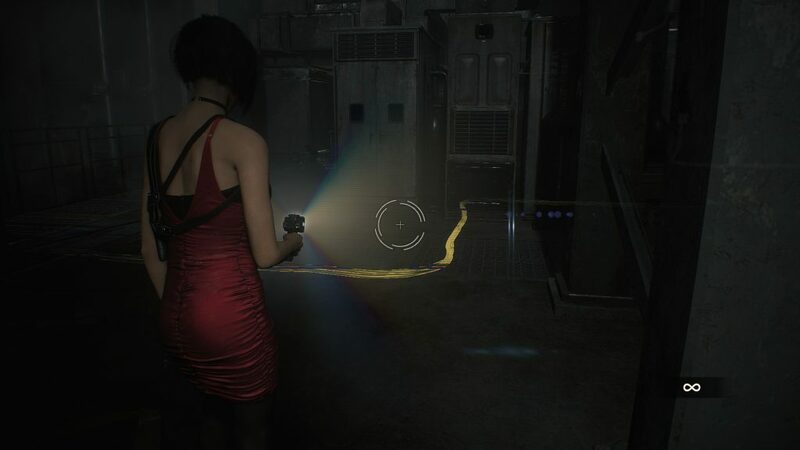 The player’s flashlight was conspicuous on all platforms as well, causing the light beam and illuminated objects to appear rather washed out. 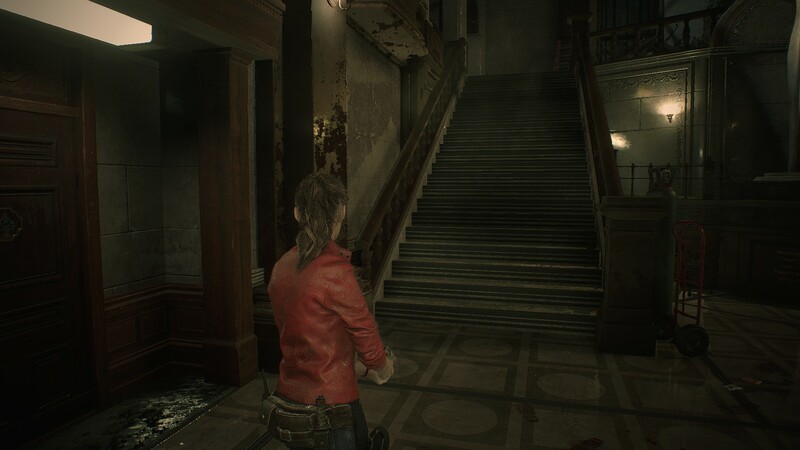 The remake of Resident Evil 2 ditches the fixed camera angles and pre-rendered backgrounds of the original in favor of a third-person, player-controlled, free roam camera. Players who enjoyed the original might think the new control scheme would make the game too easy, but by making the zombies faster and much more difficult to kill, I feel as though Capcom has rebalanced the game accordingly. While Resident Evil 2 was balanced in some areas, it felt unbalanced in others. Ammo and healing items seemed in short supply. I never needed to reload a previous save, but I always felt as though I may have over-used ammunition and may need to resort to a previous save, potentially costing me hours of gameplay. Of course, the unbalancing could be with the game itself, as Capcom has implemented an adaptive difficulty, depending on how well or poorly a player is proceeding in the game. Old school Resident Evil had controls that would make a nun pledge her soul to Satan if it meant making them less infuriating. These feel new and yet somehow familiar. Capcom has perfectly blended the fun action shooting from Resident Evil 4 with the frightening tone of the original release from 1998. For PC players, the keyboard and mouse controls are excellent, and I highly recommend using them over a gamepad, which feels slow and not as intuitive. In other Resident Evil games, there are safe areas that the player could relax and catch their breath. 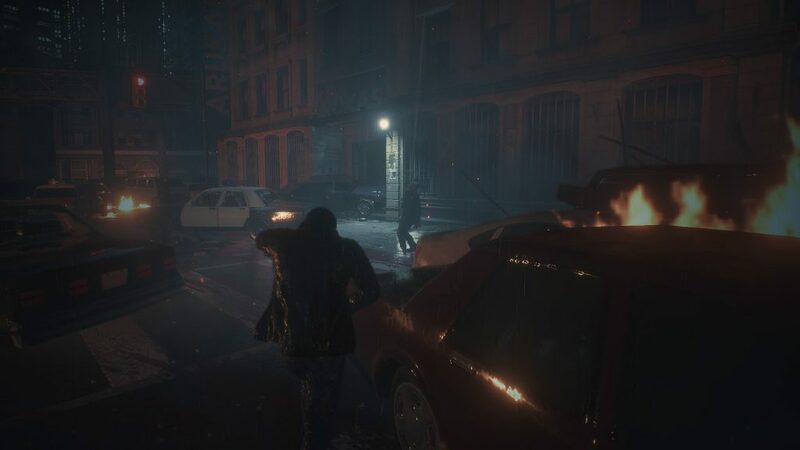 The remake of Resident Evil 2 has safe areas from the zombie horde, but once the Tyrant is revealed, there is nowhere to hide. As I was running around the Police Station, I saw zombies react to the environment in interesting ways. For instance, when a zombie ran into a desk, I thought it would get stuck; however, it proceeded to crawl over the desk so it could get to me. Another, equally interesting but more amusing encounter caused a zombie to run into the stair railing, tip over and fall three stories. The AI in Resident Evil 2 is a step above what players would usually expect, not just from a zombie game but any game released within the last decade. When zombies are hit with bullets, they react accordingly. When aiming for appendages, the walking corpses will stagger slightly and eventually said limbs will start to fall apart, causing the zombies to fall to the ground and crawl towards the player in their last-ditch attempt to take a bite of the player. Multiple headshots are required to take out a zombie, exposing obscene bone and muscle tissue as the decomposing flesh is blasted off the undead. When Mister X, AKA the Tyrant, initially appeared, I was extremely anxious as he can only be temporarily disabled but not defeated. Rather than waste ammunition, I would high-tail it in the opposite direction in an attempt to throw the Tyrant off my trail. No matter how hard I tried, Mister X was always close by and his lumbering footsteps a constant reminder that I had a short window of opportunity to accomplish my task. One problem from running around the map trying to avoid Mister X is that I (quite quickly) started memorizing my way around the precinct, which eventually turned the chase mechanic from terrifying to mildly annoying as the seams of the game became apparent. Speaking of the map in Resident Evil 2, it has been greatly improved from the original. Areas yet to be explored are greyed out, fully explored rooms are green and red rooms still have discoverable items to be located. 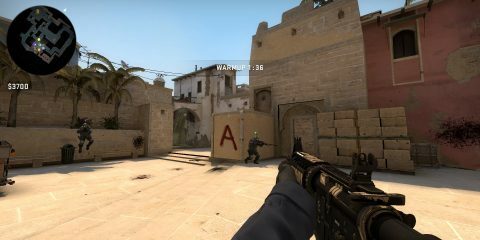 Doors that require special keys to open them will be indicated on the map, as well as items discovered but not picked up by the player. This feature is a boon as nothing is more frustrating than searching fifty rooms for a crank (that I couldn’t pick up due to inventory management) for some shutters. Inventory management is another gameplay aspect of Resident Evil 2. Players will need to juggle weapons, keys, ammunition, healing items and puzzle items, which can be a puzzle in itself. Luckily, players have item chests scattered throughout the game that share inventory which prevent people from becoming murderous psychopaths. The sound design of Resident Evil 2 is so distinctive that it fits perfectly with the atmosphere of the game, not to mention the less than discrete music that plays when the Tyrant is homing in on the player’s location. Resident Evil 2 would have suffered in its execution had the sound design been an afterthought. Players who purchase the deluxe edition can swap out the new soundtrack with the old one, which is nostalgic, eerie, and fits impeccably with the updated game. The story of Resident Evil 2 is essentially the same from the original; however, Capcom did alter certain events to make it more comprehensive. Overall, the story is interesting and the new voice overs did a decent job in their performances, though some of the lines could be reworked as the writing can be borderline cringy at times. Players have two characters to choose from in Resident Evil 2, Leon S. Kennedy or Claire Redfield. Players choose and complete the main campaign, then unlock a second run mode to be completed by the opposite character with alterations and areas inaccessible on the initial playthrough. After completing the game players will also unlock secret characters called ‘Hunk’ and ‘Tofu’ respectively. Hunk is a special operative from Alpha Team, a mercenary group sent in to clean up the mess. Tofu is, as the name might imply, a giant block of tofu wielding a knife. Both special characters have their own unique campaigns. Fans of the series will recognize two important side protagonists, Ada Wong and Sherry Birkin, both having playable sections in Resident Evil 2. Ada’s adventure consists of using a hacking device to open inaccessible areas of the map which is, indeed, surface level but entertaining. Unfortunately, Sherry’s mission is a stealth scenario that feels annoying out of place in a Resident Evil game, which usually focus on zombie action and puzzle-solving. Overall, Resident Evil 2 is an extraordinary remake of a twenty-one-year-old game. The overhauled graphics, sound design, tight controls, and reworked story elements make the remake an entertaining experience while also keeping the essence of the original. Capcom has now set a precedent for how to properly remake older classic games that other developers should take note. I'm an old timer that started in 1988 with Tempest at the Disney arcade; in 1989 I was given an NES with Contra and Super Contra, thus sealing my fate forever. I moved onto the Genesis, followed by the original PlayStation, PC (mainly just for DOOM) and the N64. I got a launch day PS2 settling for the PlayStation family of consoles until 2015 when I renewed my interest in the PC world. Outside of gaming, custom PC water cooling and car parts are life.